Eric Mitchell and Jason Zan report the discovery of a “previously undiscovered bilingual inscription” at Gezer, and the rediscovery of an inscription lost for more than a century. An archaeological survey led by Southwestern Baptist Theological Seminary of Fort Worth, Texas, discovered a previously undiscovered bilingual inscription this week at the ancient site of Tel Gezer, Israel. Gezer, a biblical city, was situated on the border between the Philistine and Israelite territories guarding the route to Jerusalem. The city was given as a dowry to the daughter of Pharaoh, who married king Solomon. 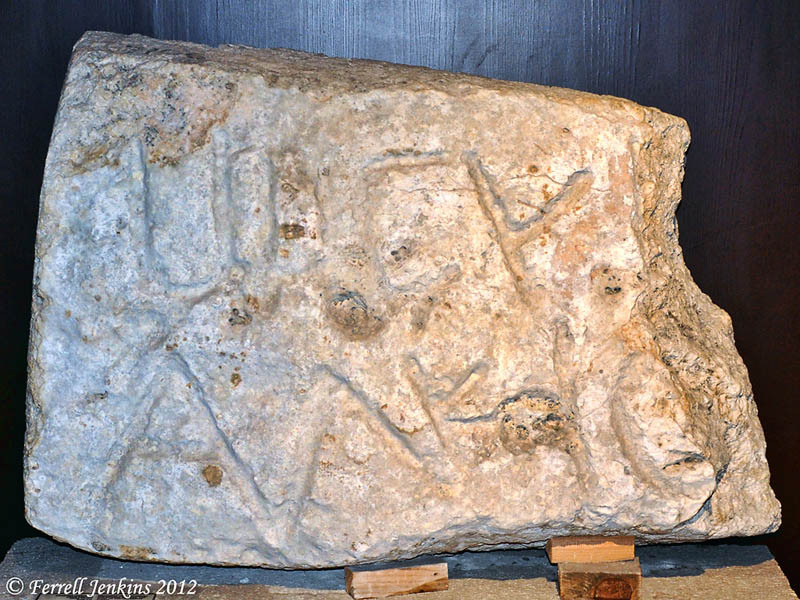 Gezer is well known in the later Maccabean period for its boundary stones with inscriptions in both Hebrew and Greek. In addition to the new inscription, the Southwestern Seminary survey team rediscovered a previously known inscription that had been lost to the archaeological community for more than a century. The boundary inscriptions demonstrate the period of conflict between the Seleucids and Maccabees. They show that the city had agricultural land around it and that the Jewish occupants were concerned over keeping their fields according to Jewish law. These discoveries are significant since the boundary stones have been frequently sought, but with long time frames between new discoveries. According to the scholarship of Ronnie Reich, of the University of Haifa, there are 12 known and published Gezer boundary stones dating to the Maccabean period. These bilingual inscriptions in outcrops of limestone bedrock ring the ancient city of Gezer on the South, East and Northeast. Many of these are two line inscriptions reading “Region of Gezer” on one line in Hebrew and “Belonging to Alkios” on the second line in Greek. The article may be read in its entirety here. According to the article, there are now 13 known boundary inscriptions from Gezer. On my recent tour in the Steps of Paul and John, we visited the Istanbul Archaeological Museum where one of these boundary stones is displayed. It is turned so that the Greek letters “Alkio” are visible on the bottom. We would expect the missing letter to be the “s” or “u“. The line at the top, but upside down, is the Aramaic word for boundary or region, and the first letter of Gezer (GZR). Todd Bolen includes a photo here of one of the inscriptions still in place at Gezer. Gezer Boundary Stone. Istanbul Archaeology Museum. Photo by Ferrell Jenkins. 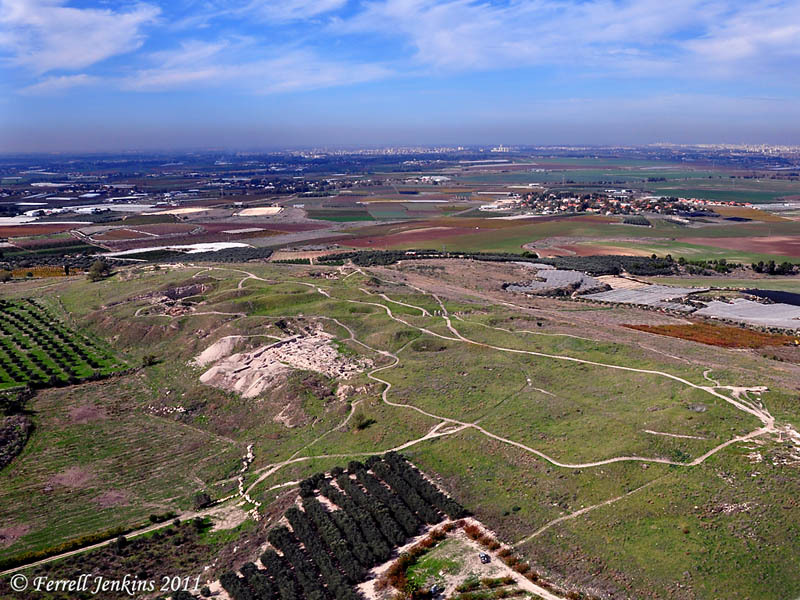 The following aerial photograph of Gezer was made in December, 2009.